Once again, a senior executive of Airbus is complaining about the euro’s strength. Fabrice Brégier, the pan-European aircraft maker’s current boss, told the Financial Times that the European Central Bank should do something about the “crazy” currency, the strength of which is hurting earnings. A few years ago it was Louis Gallois, then chief executive of Airbus’ parent EADS, who regularly vented his frustration with the central bank. Curiously, those complaints are never heard when Airbus or EADS is headed by a German executive. Euro gripes are less an Airbus thing than a French one. Brégier’s comments come barely a week after Manuel Valls, the French prime minister, called on the ECB to bring the currency down. And former French President Nicolas Sarkozy was a regular at the weak-euro café. The euro is up 13 percent against the dollar in the last year, and that creates headwinds for European exporters. But businessmen and government ministers in Germany, Europe’s largest export machine, never moan about the problem. In France, on the other hand, an influential school of thinking has long favoured competitive devaluations to boost the economy. The euro’s creation 15 years ago rendered this lobby group powerless, but it hasn’t silenced it. The ECB need not worry about trade problems. The euro zone now has a much too large current account surplus. But the strong euro – even though it’s currently 15 percent below the 2008 all-time high – adds to the difficulty of boosting the annual inflation rate from the current 0.5 percent towards the 2 percent target. The central bank has pledged to keep interest rates low for a long time, even after the U.S. central bank or the Bank of England have moved to increase rates. For now the exchange rate is less of a concern than boosting the supply of credit and cleaning up the banking system. Governing Council member Benoit Coeuré was right to reiterate over the weekend that the exchange rate is not – nor should be – a primary target. Even if it is becoming a primary concern. Fabrice Brégier, the chief executive of Airbus’ passenger jet business, called on the European Central Bank to push the value of the euro against the dollar down by 10 percent from its current $1.36 level. “Europe cannot be the only economic zone of the world that does not consider its currency as a weapon,” he told the Financial Times in an interview. 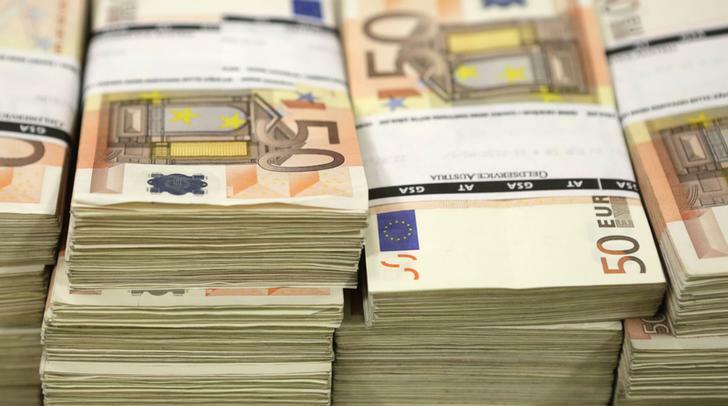 French Prime Minister Manuel Valls last week told business newspaper Les Echos that the over-valued euro was bad for French industry and trade, and that he wished the ECB would embark on a quantitative easing programme.